The Curtin University held its annual Pasar Malam festival, which is a festival that celebrates the coming togethor of different cultures. The event features a large variety of different cultural food stalls as well as a variety of cultural entertainment. The event was very busy with families and students enjoying the foods and entertainment that the event had to offer. 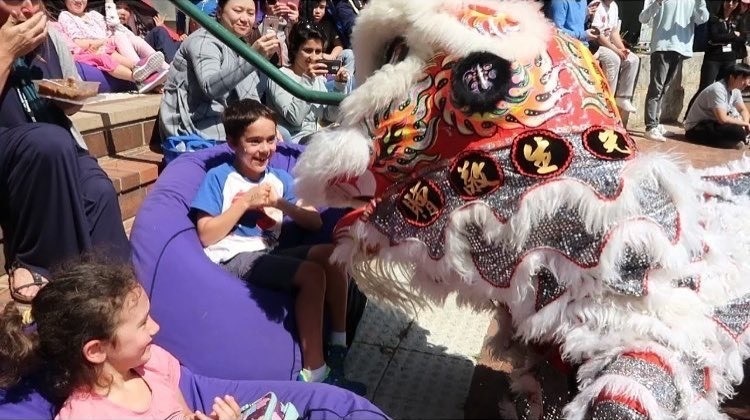 The Chinese Community Centre (CCC) Lion Dance Troupe performed a 2 lion dance performance at the amp theatre stage to a large audience. The lions climed up the levels of the amp theatre interacting with all those in attendance. The performance was one that was defintely enjoyed by all. The CCC Lion Dance Troupe would like to thank the organisers of Pasar Malam for having us, and we hope to be part of this event again! 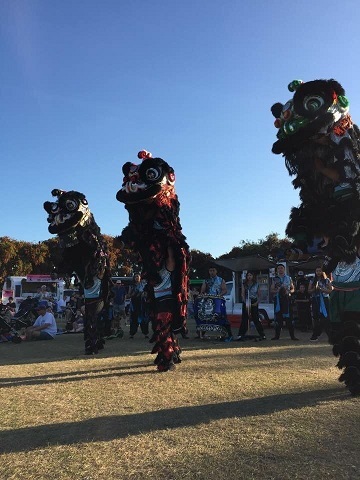 The Chinese Community Centre Lion Dance Troupe were invited to perform at the Maylands Twilight Markets. 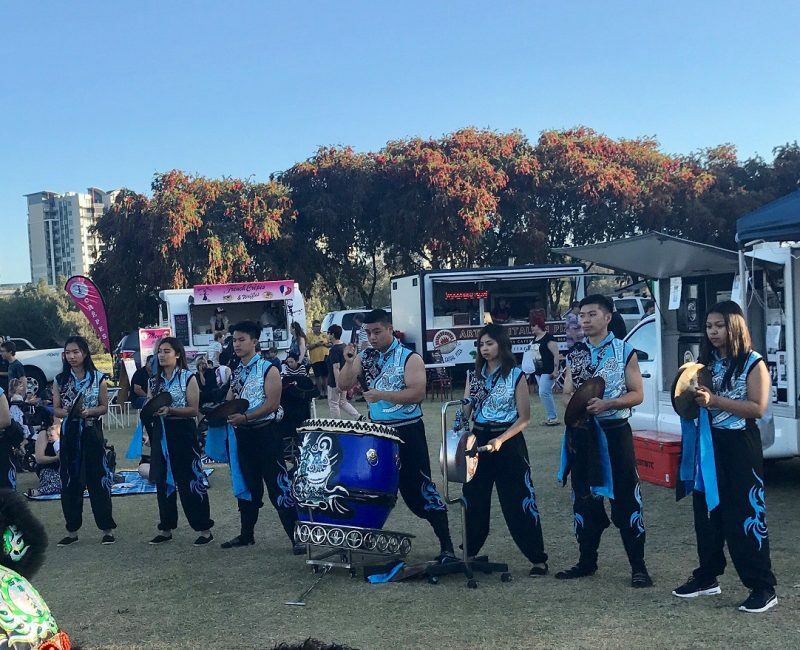 The event featured a number of different cultural food trucks as well as other entertainment, including the Chinese Lion Dance. The event attracted a large number of people within the Maylands community. The Chinese Community Centre Lion Dance were the first major entertainment for the event. The Lion Dance featured 3 lions. Each of the lions interacted with the large audience while also visiting each food truck to eat the red packets. Overall the performance was very much enjoyed by all in attendance. We would like to thank all the staff at the event for having us perform at this wonderful event. 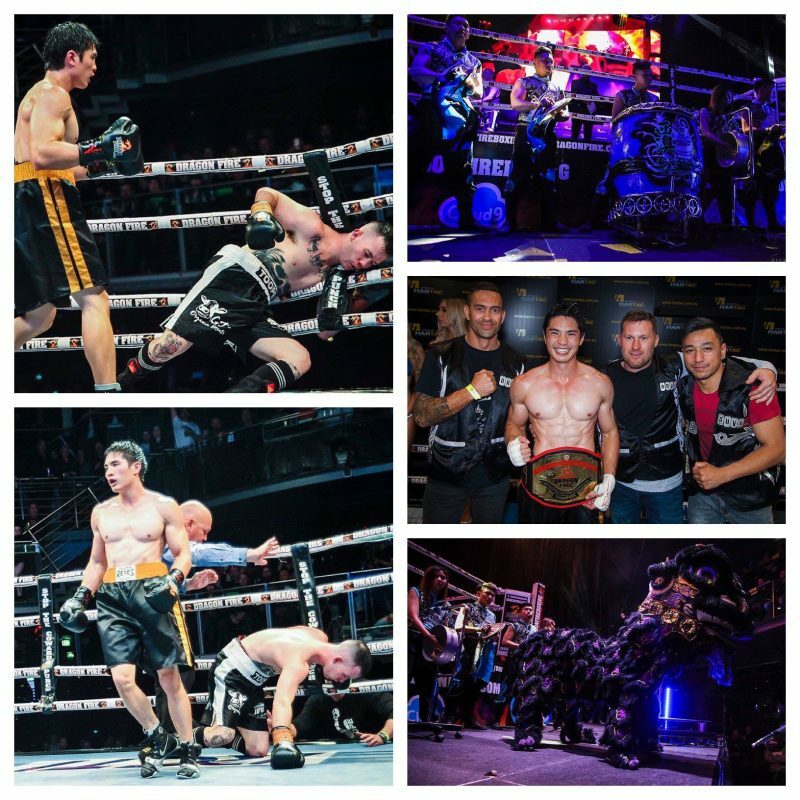 Chinese Community Centre Co-trainer, Francis Chua debuted this year as a pro in boxing. Since his pro-debut, Francis has won all of his bouts, and due to these wins he earnt himself a shot at the light weight title. Francis was up against a top prospect from Queensland, in which many believed this will be a tough fight for Francis. Francis and Luke Toope were the main event of the evening. The CCC Lion Dance Troupe again provided a blessing entrance for Francis, as the 2 lions escorted Francis to the ring. The fight was scheduled for 6 x 3 minute rounds. The beginning rounds had both fighters testing each other to see what each one brought to the fight. But Francis’s strength and power was too much as he overtook the fight within the first round. In round 3 Francis nearly finished the fight by rocking Luke. Francis threw many body shots which in the 4th round, dropped Luke twice. But it was in the closing minutes of the 4th round where Francis connected with a hook and beat Luke via TKO to capture the light weight title. What makes this story more interesting is Francis, a year ago, said he was going pro, who knew after a year he will capture the light weight title. The future opportunities are endless for Francis! The CCC Lion Dance Troupe are made up of talented individuals who are champions in football, soccer, DJ scratching, and Brazilian Jiu Jitsu. Now we can add to that list, boxing champion. Congrats on this huge achievement Francis. The Champ has finally arrived. 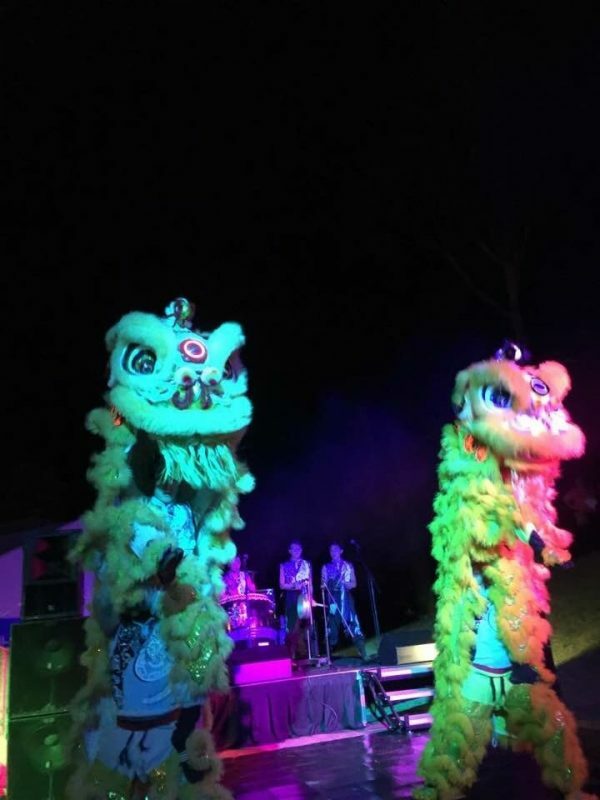 Continuing the celebrations of the Mid Autumn Festival, UWA held the Spring Feast Festival. This Festival was featured at the student guild village at UWA, and had a variety of international food stalls and entertainment. The Chinese Community Centre Lion Dance Troupe performed a 3 lion performance, where the lions entertained the audience and created the festive vibe for all in attendance. The performance was defintely an act enjoyed by all. 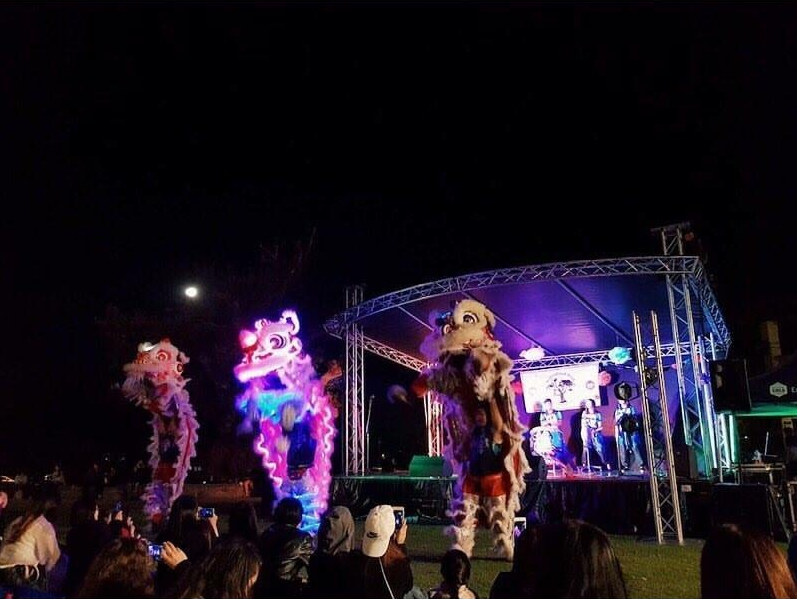 The Curtin University celebrated the Mid Autumn Festival, a festival that is celebrated in the Chinese Culture in which a full moon is present at night. 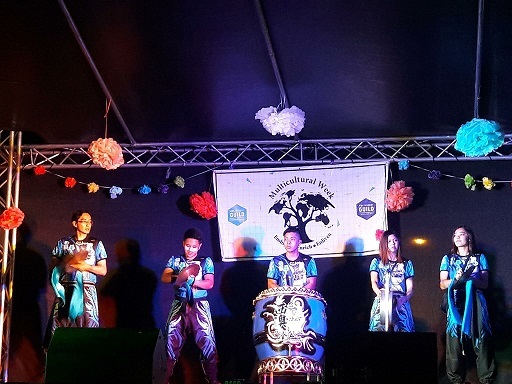 The festival in Curtin featured many activities and entertainment such as latern making, singing performances, and of course the Chinese Lion Dance. The Chinese Community Centre Lion Dance performed in front of a large crowd who were enjoying the festives of the festival. The lions interacted with the audience as well as displaying high aerobatic movements. The festival also had free moon cake giveaways for the audience. The moon cake is a exotic sweet that symbolises the Mid Autumn Festival.